Bangladesh is a Southeast Asian country with a diverse terrain of mountains, forests, and beaches. Located between India and the Bay of Bengal, Bangladesh sports a wide variety of destinations for tourists. With a population of 164 million people, Bangladesh has many urban centres for visitors, including the capital, Dhaka. Tourists can experience the beauty of nature in one of Bangladesh’s many national parks. Those interested in history would be advised to visit Bagerhat or Rangamati for their many archaeological ruins. Whatever your interest, these top five destinations in Bangladesh have something for everyone. The Sundarbans are the largest mangrove swamp in the world. Covering southern Bangladesh and India, these forests of mangrove trees form in the brackish water where the Bay of Bengal meets freshwater from inland Bangladesh. The Sundarbans in Bangladesh are a one of kind destination and are a UNESCO World Heritage Site. Wildlife viewing is popular as the Sundarbans are one of the last refuges of the Bengal Tiger. Photo safari tours are available as well as boat tours of the coastline. Those wishing to experience the beaches of Bangladesh would do well to visit Cox’s Bazar. A beach resort, Cox’s Bazar has miles of beautiful sandy beaches along the coast of the Bay of Bengal. Featuring the longest ocean beach in the world, this is the perfect destination for those wishing to visit Bangladesh to relax. Besides the beaches, there are also a variety of wooden Buddhist temples that dot coast. Dhaka is the capital of Bangladesh with a population of 12 million people. 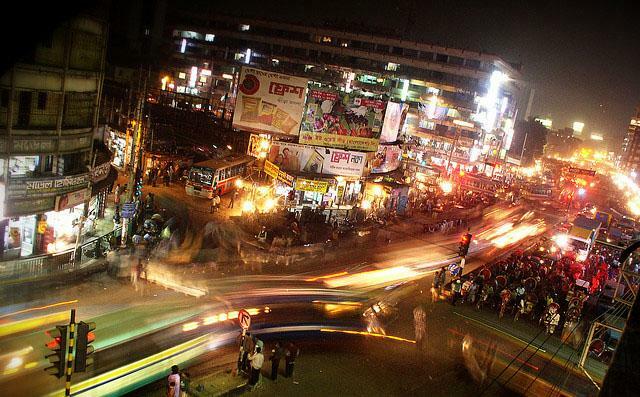 A dense urban sprawl, Dhaka has something for every urban traveller. Rickshaws line the streets, offering rides to pedestrians. Visiting the National Museum in Dhaka is a top destination for its amazing collection of Bangladesh’s cultural treasures. Dhaka is also known for its beautiful mosques. The Star Mosque in particular is known for its amazing architecture. Bagerhat is the perfect destination for tourists who love archaeology and history. Featuring some of the most amazing architecture and ruins in Bangladesh, Bagerhat is a must see destination. The Shait Gumbad Mosque is the main attraction. Built in the 1500s, the ceiling is constructed with 77 domes. Another site is the Tomb of Khan Jahan Ali. A Sufi buried here in the 15th Century, his shrine here is exquisitely decorated with coloured cloth. Located in Northeastern Bangladesh, the Lowacherra National Park contains some of the last remaining jungle of its type in the region. The wildlife viewing in this park cannot be beat, with a wide variety of animals making it their home. Containing a mix of lowland jungle habitat and animals travelling from the nearby Tibetan plateau, Lowacherra offers a variety not seen elsewhere in the country. Mary Johns, the author of the “Five must see destinations in Bangladesh” is a travel blogger and contributes to Hotels-Fairy.com as a guest writer. Mary, has recently came back from a six month trip around central and East Asia!